HAMDEN, CT—Pollsters from the Quinnipiac University Polling Institute reportedly informed former president George H.W. 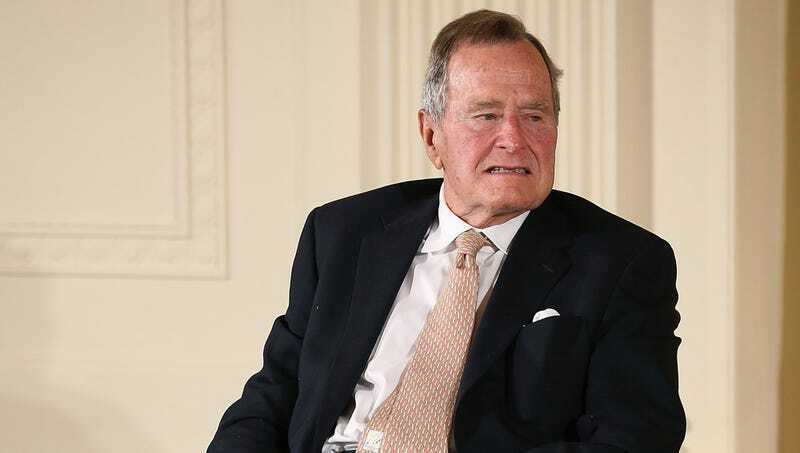 Bush on Wednesday that dying so soon after the passing of his wife, Barbara, would dramatically boost his favorability rating with the American public. “According to our data, perishing on the same night as your beloved would have done wonders for your legacy, but you still have time,” said Douglas Schwartz, director of Quinnipiac University Poll, telling the 41st president that recent reports of his sexual misconduct would soon be forgotten if he were to pass away just over six weeks after the former first lady. “Listen, the longer you wait, the worse it looks. At this point, you’re probably losing half a percentage point per day. Otherwise, you’ll have to live until 100 to see this kind of sweet cultural capital again.” Schwartz added that if the former president didn’t seize the opportunity soon, Bill Clinton, who “appears like he could drop dead any second,” might suddenly kick the bucket and steal his thunder.